It’s easy in this election season to feel that “Things have never been this bad.” Old fogies might say, “This isn’t as bad it was back in ______!” but if you are a millenial looking to get a decent job, you might find it hard to agree. So depending on how you are feeling it’s easy enough to think, Things were much better in the good ol‘ days or the exact opposite, It’s never been better. Either way, we can get caught up with our own lives. So, should we care about the past, and specifically should we care about history? I’d argue yes. In fact, it’s one of our favorite historical characters, who features prominently in a variety of historical mysteries, who says it better than most others can. Marcus Tullius Cicero, lawyer, orator, consul of Rome, and staunch supporter of the Republic, said that almost two millenia ago. I ran across this specific quote in Robert Harris‘ newest novel Dictator – the third in a series of books centered around Cicero. So today, whether we focus narrowly on the unfolding US presidential primaries or the re-emerging cold war between Russia and the US, the rise of ISIS, or the refugee crisis unfolding in Asia Minor – I’d argue, as Cicero did, that history has much to teach us. And yes, reading historical mysteries, is just as good a way to – a more fun way I’d argue – to learn about history. Tell us which is your favorite read! “Rich as Croesus” is an expression that’s in common parlance even today. History is filled with tales of men (maybe that’s why it’s termed his story) of fabulous wealth. Croesus, the King of Lydia (c. 500 BC) was probably the first man to be tagged as the richest in history. The first occurrence of this phrase was in 1390 in John Gower’s Confessio Amantis, according to Wikipedia. Even earlier references exist in Greek and Persian sources that pre-date the Christian Era. Readers of historical fiction may know of another wealthy man, Marcus Crassus, contemporary of Julius Caesar and Gnaeus Pompeii. Crassus is considered the wealthiest man of Roman times and even of all time. Yet it appears neither Crassus or Croesus, legendary as they may have been, were as wealthy as King Musa of Mali (c. 1300). When magazines such as Time or Forbes compile lists of the 10 richest men of all time, they rarely agree on #2 through #10, but they all agree that Mansa Musa of Mali was #1 – the richest man of all time. Of course, given more people may know of Timbuktu than of Mali, it’s not surprising that Musa of Mali is not a household name. Unfortunately, news about Africa invariably seems to be centered around disaster – famine or civil war. It’s only occasionally that the promise of African history breaks through the clutter. The attacks on historical monuments in Timbuktu have drawn attention once again to Mali’s resplendent past. Alas, the news cycle did not allow for much attention as to what makes Timbuktu, Mali and West Africa a place of immense interest to fans of history and historical fiction. Most of the attention in historical fiction seems to get heaped on Egypt. Historical mysteries set in Africa have rarely featured the sub-Saharan part of the continent. Granted both mysteries – real and fictional – abound in Egypt, but it is still only a small part of Africa. Does the rest of the continent not provide adequate fodder for mysteries? To me, it sounds like a rich vein for writers to tap into – with so much money, can crime be far behind? Both Ramesh and I are big readers of science news. And where history is involved, science is rarely far behind. And as readers of historical mysteries, both history and science — even if it’s occasionally of the pseudo kind — interest us. So when folks wonder with bated breath, if indeed Nefertiti’s tomb is hidden behind Tutankhamen‘s – we sit up and take notice. Similarly wine-making or even fish-sauce making has its share of science. Swords and other weapons of war too fascinate us – Damascene swords (that came from India), iron pillars that don’t rust – are all inanimate things that animate us. Another whole class of inanimate things are fossils, the only remnants of often extinct, birds or animals – dinosaurs, fishes, nautiluses, which help us solve many a mystery about the world around us. Recently I read about the Fossils of Ariyalur. Despite having grown up in Chennai, less than 200 miles away, I knew nothing about them. Luckily this video (below) and article introduced me to the wonders of Ariyalur fossils. Like far too many things in India, these are not valued as much as they should, but hopefully, stories such as these will change that. 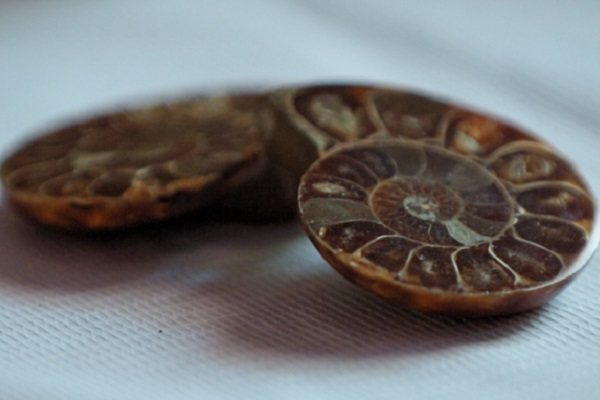 Check out the video and share with us your own favorite fossils and stories about them. Read the original article here. Clearly the advent of Netflix and Amazon Prime has changed our TV watching habits. Now it’s debatable whether we are better for it – but as with anything new, the family and I have taken to it with gusto. Imagine our surprise when we discovered the Australian Broadcasting Corporation (that ABC) has brought Phryne (pronounced Fry-nee) Fisher, the irrepressible Flapper, to the (not-so-little) screen and thanks to Netflix we were able to catch the entire first season in one short week of binge watching. Readers of this blog are old enough to recall when the Lord of the Rings trilogy (or if you are older, Superman) was going to first make it to the silver screen. I recall hoping that they don’t ruin the darn thing. I first encountered Kerry Greenwood’s 1920s English socialite Phryne in Book #1 Cocaine Blues. A sale on BookBub (if you haven’t subscribed, you should) for the Kindle is what brought Cocaine Blues to my attention. I’ve met my share of unusual and interesting female detectives on said Kindle (Julie Smith’s Rebecca Schwartz, Pamela Fagan Hutchins’ Katie, my own favorite Patricia Mason’s Imogene Tuttle aka Mo, to name just three). But Phryne Fisher went one step further, combining a great detective (independent-minded socialite risen from a poor childhood) in a not-so-common setting (’20s Melbourne) with a sizable cast of supporting characters. Check it out on Netflix, and let me know what you think! So for our first podcast at HistorynMystery, Ramesh and I decided to explore this question and more. As promised in the podcast, here are the authors and books that we talk about in this first podcast. 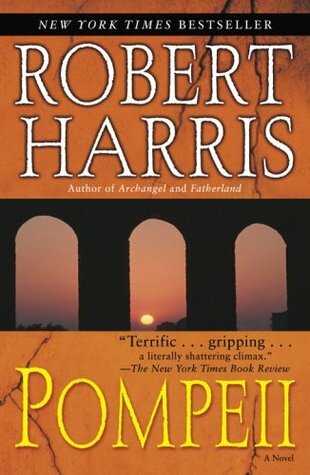 Let us know why you think Rome is such a popular setting for historical mysteries, and what your favorite Roman mystery novels are.